I hope everyone had a great Thanksgiving. Today my son and daughter got to visit the zoo for the first time. I have fond memories of going to the zoo as a child. I hope my kids will develop the same fondness for wildlife that I have. While you are fishing there are always experiences that make you question whether they are crossing the line or not. The line is different for everyone but there is always an uneasy feeling. Similar to when a friend shows you the answers they somehow acquired for an upcoming test. This happened to me on my last fishing trip. I was having a good day cruising along catching fish consistently. I ran into another fisherman who was having the same success. When we compared flies I couldn’t help but almost blurt out, “you’re cheating!” My fly was a bead head pheasant tail nymph and this gentleman’s fly looked like pink chenille with a trout worm on the end. It basically looked like a jig you’d use to catch crappie. Whenever I see stuff like this I always think why bother even using a fly rod? I talked it over with a friend after wards and said that fly would be my last resort. Which when I reflect back on everything that probably is false. Later I understood that the reason I was so upset about the fly was because I didn’t fish that way. So in my head I had the judgment that if you’re not following my set of rules for fly fishing you’re doing it wrong. Then I tried to go over why I thought it was so wrong. First I went over the fact that there was a rubber worm type thing tied into the fly. But then I thought about the rubber legs I use or have used on bass flies. They resemble or try to resemble the actual anatomy of something life like but are they really better than the worm fly? In reality what the person was doing was totally legal and he followed the fishing regulations. I realized I have no control of the actual situation and that I need to really get over those types of things. In all honesty if I had been getting skunked that day and he offered me that fly to fish with I’m sure I would have used it. I guess it was pride that first turned my nose up at the use of a fly like that. I guess everyone has that line they feel you shouldn’t cross because you’re breaking the rules. 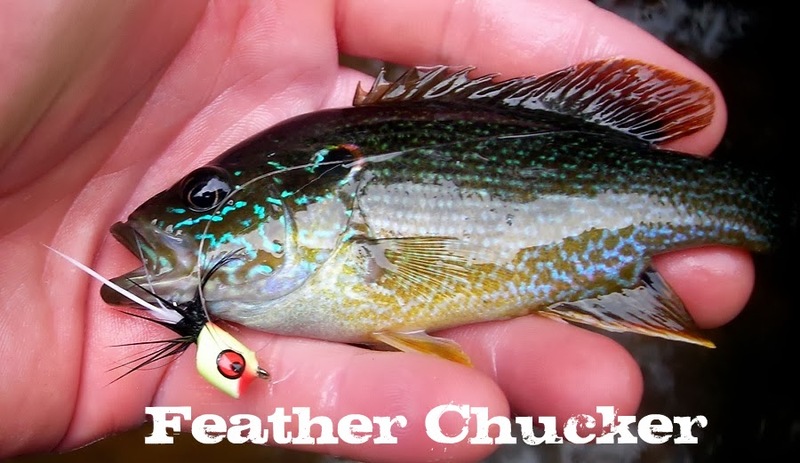 Whether it’s using two flies, fish scent, egg patterns, or bait. Everyone has their thing. This was only my mothers second time attempting to trout fish. I mentioned it would be cold in the morning. Even I was a little surprised when the temp read 25 as I stepped out to get my gear on. It's a funny feeling when it is that cold. You try to move fast to warm up but the cold hampers your movement and you have to stop every so often to blow in your hands. We still managed to get our gear on and head down to the river. The morning was beautiful and there's something about seeing sunlight shine through mist and your breath. I went to my usual hole and it didn't take long to get my first trout of the day. I rarely catch a fish with in my first few casts. I enjoyed the moment and didn't try to put a lot of emphasis on the event like it was foreshadowing the day. As the sun and temperature rose so did the fishing. Whenever I go fishing with a group there is always one lucky person who just seems to have everything going for them that day. Today that lucky person was me. Most of my hook ups the fish stayed on and I was able to land them. I had to pay close attention to my indicator and I started to recognize how these fish hit. Most of the fish were rainbows but in one section there seemed to be a cluster of drab brookies. The water was clearer than the last time and a lot colder. One part of the day some small size 20 bugs started hatching. Fish never started hitting the surface but the fishing did seem to pick up. The hot fly was a small size 18 bead head pheasant tail. My mother struggled at first. She had the problem normal beginners have. Wind knots and tangling the leader over the rod. She persevered and was able to get the skunk off. It was a great day. One of those ones where you're not quite sure how many fish you caught but you know it was a lot. The day had blue bird skies and there was still some color on the trees to keep things scenic. Recently the Outdoor Blogger Network had a bunch of free giveaways to celebrate their one year anniversary. I was lucky enough to win a set of Olive The Wooly Bugger books. In my travels I had heard about these books before but I had never held one in my hands. I have a daughter who is around three so I thought these books would be great to read at bed time. The books came in the mail yesterday and what first surprised me was the quality. Not only in the artwork but of the books themselves. The books are paperback but the pages are thicker than an average paperback. This makes the book more durable after several reads. The author Kirk Werner was kind enough to autograph all of the books as well as some bookmarks and a decal that was included. As if the books, bookmarks and sticker weren't enough the give away also included a limited designed Olive The Wooly Bugger fly box. I'm hoping to get that soon. My daughter saw the books and was pretty ecstatic. She wanted me to read them instantly. I sat down with her to go over the first one Olive The Little Wooly Bugger. The reading level was a little beyond my daughter. I kind of like that I have some books she can grow into. The full page illustrations were enough to keep her entertained. It was fun going over the different flies with her. The illustrations in this book are amazing and the characters of the flies are very clever. In this book Olive is going to Camp Tight Loops. Unfortunately even in Olive's world there is dry fly snobbery and the dry flies give Olive a hard time. The focus of the camp is to teach each fly its talent to help them catch fish. The best flies make it to the coveted Fly Box. Those flies get their chance at catching trout on The Big Stream. I really liked how this book tied in fly fishing knowledge with the plot. I'm actually going to recommend this book to many of my beginner fly fishing friends. The book also has a page at the end that has actual photos of fishing flies. I thought this was a great addition so readers can reference flies they may have or want in the future. When I first got these books I didn't know what to think. After reading the first one and checking them out more I am overly impressed. These would be great gifts for anyone at any age who has the least bit of interest in fly fishing. I have to give a special thanks to OBN for hooking me up with these.